We take pride in creating a custom putter that is both perfect in design and a gorgeous showpiece. Made from exotic woods from all over the world, we can inlay special memorabilia, such as coins or jewelry, or add personalized messages or company logos. Our putters also are designed to improve your game. Built into every putter are features meant to eliminate or minimize putting mistakes. Our putters will help you develop consistency in your putting stroke. 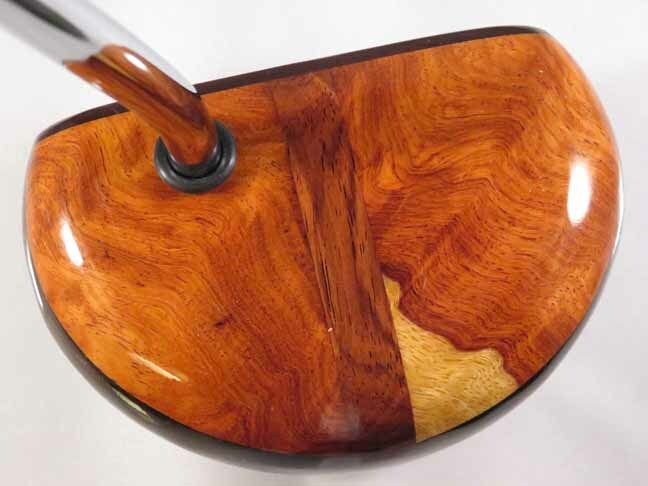 Every Ember Exotic Wood Putter is handcrafted and one of a kind! * Choose Options Below to See Previews of Your Choices Here.